Our monthly Full Moon Dinner is a special pop-up dining event in Cruz Bay. This one night only event is inspired by the full moon with a unique theme and menu for the evening. Seating is limited; reservation required (340) 690-3868. 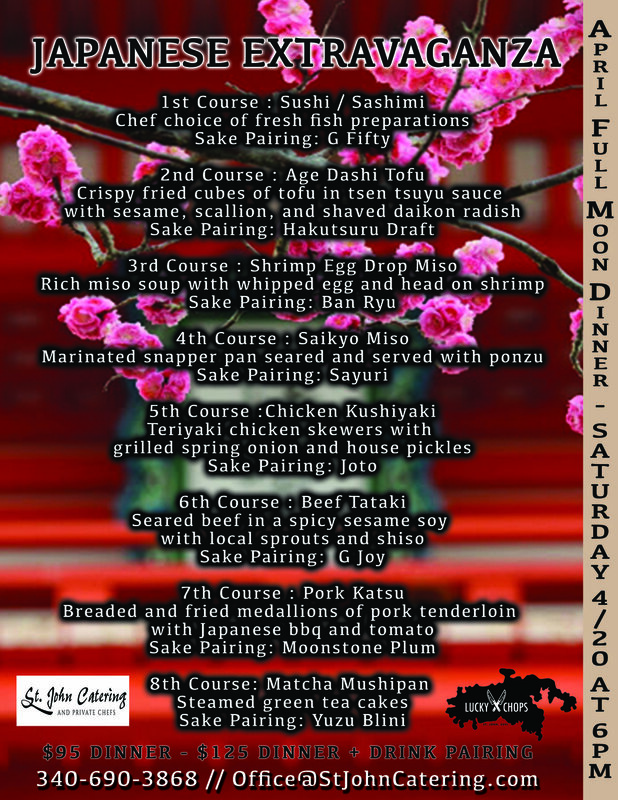 April's theme is JAPANESE EXTRAVAGANZA an 8-course tour of the islands of Japan with a menu designed by Lucky Chops' Sushi Chef Larry Parnell (full menu below) available with sake pairing!